Portuguese property sales are sustaining their momentum this year, despite a slight slowdown in Lisbon. The latest RICS/Ci Portuguese Housing Market Survey found that contributors once again noted an increase in transactions in June. However, the pace of growth softened, mainly due to a slight dip in activity in Lisbon. In Porto and the Algarve, on the other hand, readings remained similar to the previous month. Indeed, sales are projected to increase in all regions over the next three months. Meanwhile, demand growth lost a little impetus in the latest results (on a non seasonally adjusted basis), with a net balance of just 16 per cent of respondents citing an increase in new buyer enquiries (relative to 36 per cent in May). Again, this was most visible in Lisbon, where demand grew at the slowest pace since December 2016. New sales listings fell further in June, for a third successive month, with a decline reported in all three regions. Confidence remains strong among property professionals, edging down from +38 in May to +29 in June, but still pointing to solid momentum expected across the housing market going forward, as the country’s improving economic conditions fuel the real estate recovery. Sales of property in Portugal have surged 19.4 per cent at the start of 2017. 35,178 transactions were recorded by the INE, almost one-fifth higher than the same period of 2016. The sales value surpassed the 4.3 billion Euros, of which 3.4 billion Euros were spent on the acquisition of existing dwellings. The number of sales of existing dwellings totaled 29,511 units (83.9 per cent of all sales). A total of 5,667 new dwellings were transacted, the highest value since the fourth quarter of 2015. For the second consecutive quarter, the value of transacted dwellings reached a new maximum (4.3 billion euros), 265 million more than the last quarter of 2016. The following figure depicts the evolution of the number and value of sales over the last five quarters. The growth of the number of transactions was higher for new dwellings (3.7 per cent) than for existing dwellings (2.2%). 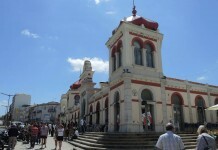 Lisbon led transaction activity, with 35.2 per cent of total sales (12,381 transactions). The Norte region, with 29.1 per cent of the total number of sales, exceeded the 10,000 transactions for the first time since the second quarter of 2010. In terms of sales value, Lisbon also led the way, with 48.5 per cent of the total sales volume (almost 2.1 billion euros), a figure that constitutes a new maximum in available series. Momentum is continuing into the summer, with the latest RICS/Ci Portuguese Housing Market Survey reporting “solid” activity growth in May. 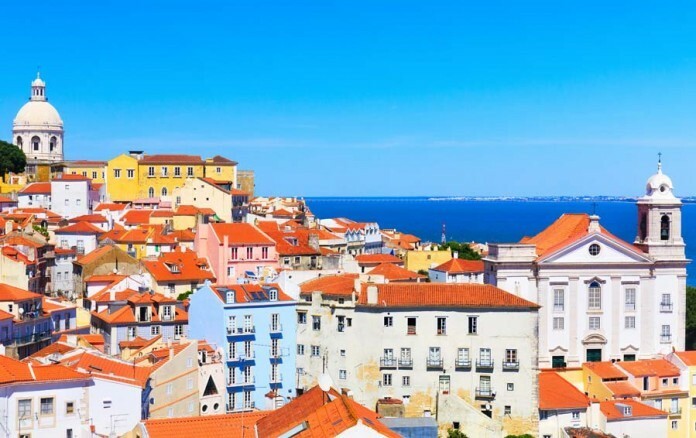 Sales rose for the 16th month in a row in May, with all three regions covered by the survey seeing an increase in agreed sales (Lisbon, Porto and the Algarve). Looking ahead, sales are expected to rise further in all three areas over the near term, although sales expectations “did soften a touch in Lisbon relative to the previous month”, notes the report. The National Confidence Index (an amalgamation of near term price and sales expectations) stands firm, reflecting the buoyant mood in the market, reflecting the upbeat sentiment surrounding the econony. 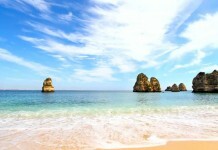 Sales of Portuguese property continue to climb, as steady demand fuels the market’s recovery. The October 2015 RICS/Ci PHMS results show steady demand continuing to translate into improved sales volumes, although the outlook for prices varies in different parts of the country. Sales volumes picked up during October and have now reportedly increased in every month since the early part of 2014. Looking ahead, sales expectations suggest growth in transactions will continue in the near term. The steady improvement in market activity continues to support overall house prices. Indeed, the gentle recovery has now been sustained through eleven consecutive reports. That said, three month price expectations do vary between regions, with the indicator for Porto turning slightly negative in the latest results. Nevertheless, over the next twelve months, respondents to the survey are projecting prices to increase by around 2 per cent. The national confidence indicator also delivered another positive reading, one slightly lower than in September, but still continuing a positive streak that stretches back to October 2013. Indeed, in 2014, Ideal Homes Portugal sold a total of €14 million worth of property. In the first nine months of 2015, sales have already topped €25 million, an increase of 79 per cent. Over the same period, the total number of properties sold by the company has increased by 69 per cent. In 2014, 90 per cent of those buying property in Portugal through Ideal Homes Portugal were looking for a holiday home. Now, just 40 per cent are after second home, while 50 per cent are after an investment property (with the remaining 10 per cent of buyers looking to relocate).